Recently there was a new fling released on the VMware Flings site, this enables us to use VSAN and VMware Flash Read Cache with PowerCLI, check out the site here for more details. 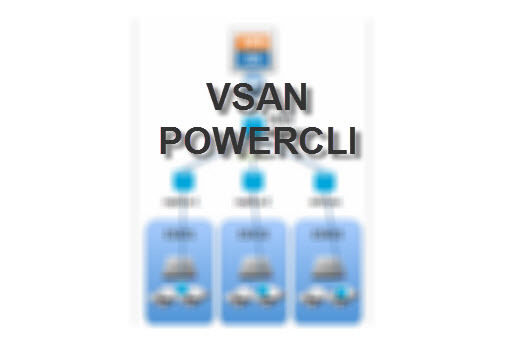 I wrote a post on the PowerCLI Blog which showed the cmdlets and some examples on how you might use these, recently I had the chance to put them to use when I needed to stand up a new VSAN cluster, I was able to easily build myself a test cluster with the help of Williams post here. Once I had a couple of hosts and my fresh vCenter server, I used the following script to setup the Datacenter, Cluster, add the hosts, enable the VSAN VMKernel port and enable VSAN in automatic mode. The cmdlets are very easy to use and I was amazed at how easy and quick it is to setup VSAN.